10 Oct 2016 — Logitech announced the Logitech M331 Silent Plus and the Logitech M221 Silent Wireless Mice, the first quiet mice ever developed by Logitech. 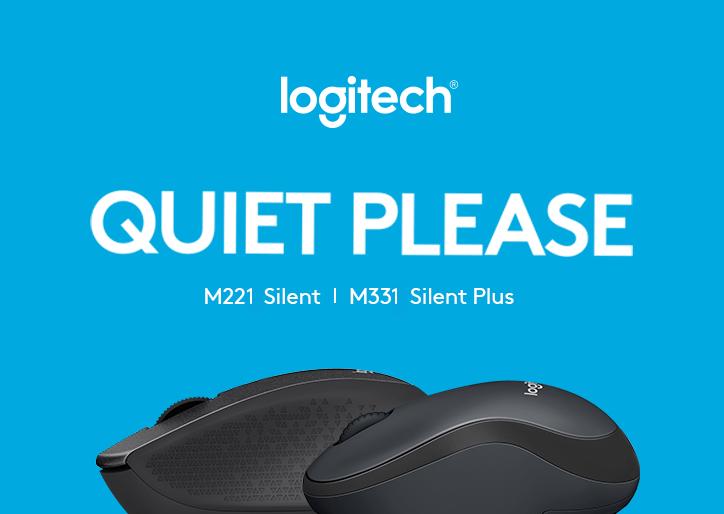 The M331 Silent Plus and M221 Silent mice deliver the same precision, durability and “click” feel without the noise. With the M331 Silent Plus and the M221 Silent you can work quietly without compromise. These mice provide the traditional click feel, but with over 90 percent noise reduction. And with Logitech Advanced Optical Tracking, they are ultra-precise and work on almost every surface. Both the M331 Silent Plus and M221 Silent provide a wireless connection up to 33 feet away thanks to a plug-and-forget nano receiver, and the mice work with Windows, Mac, Chrome OS or Linux -based computers with no hassle. Plus, they have received the Quiet Mark seal of approval from the Noise Abatement Society. The Logitech M331 Silent Plus features a 24-month battery, and has contoured grips made of soft rubber for a comfortable, right hand fit. The Logitech M221 Silent offers an 18-month battery life and an ambidextrous, portable design that’s perfect to throw in your bag when you are on the go. Both products are available in October from MCL Bhd and M-Link System. The Logitech M331 Silent Plus has a suggested retail price of RM76.00 (inclusive of GST) / ~US$19, whereas the M221 Silent Mouse has a suggested retail price of RM59.00 (inclusive of GST) / ~US$15.